Dry, warm conditions will persist through Sunday, but rain will come back into the forecast for the start of the work week. Sunday will be breezy with highs at 83. There is a moderate risk of rip currents. 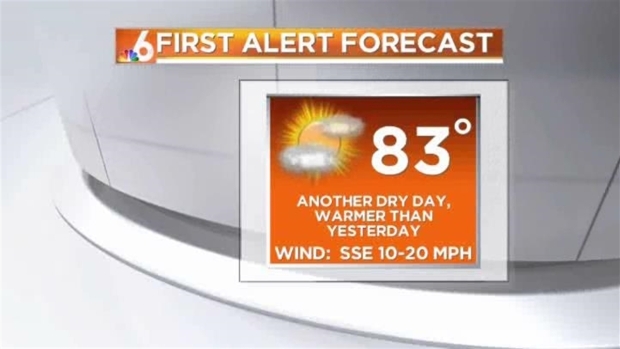 Monday will be even warmer, with highs at 85. Expect thunderstorms throughout the evening. Quiet morning turning into a breezy and warm afternoon. 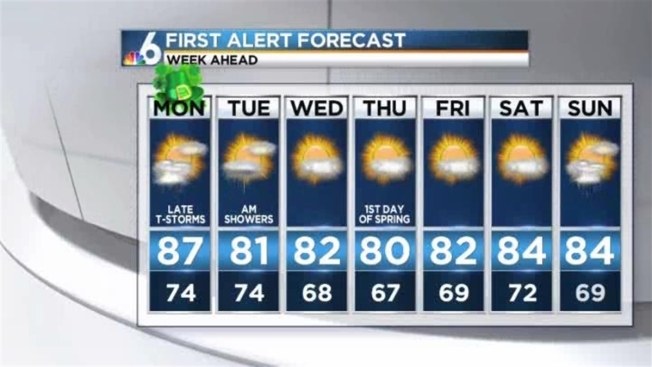 Last rain-free day for South Florida until midweek. Showers will stick around Tuesday morning, as a cool front passes over the area. Plan for cooler overnight temperatures with lows in the upper 60s through Saturday.